If a picture says 1,000 words then this picture plaque says it all. The plaque is done in a beautiful cherry wood finish and has plenty of room for whatever your engraving or personalization needs might be. 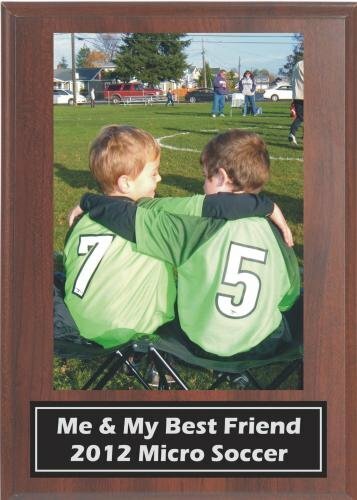 The acrylic cover is held on by 4 screws and can accommodate a 3 1/2" x 5, 4" x 6" or 5" x 7" picture. There are plenty of other finishes that you can choose from. This Award combines two items to make one incredible plaque. A colorful resin plaque mount in a variety of sports to select from. The plaque is done in a beautiful finish that gives you plenty of area for whatever your personalization needs are. 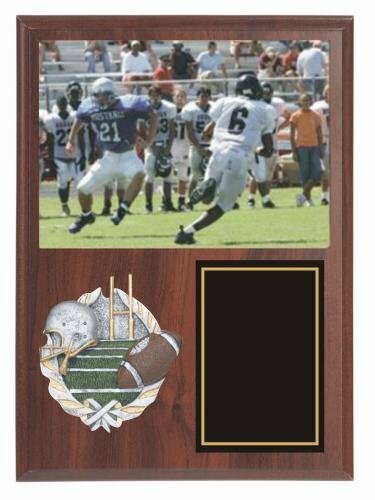 You can also choose from a variety of other sport or activity resin plaque mounts as well as different plaque finishes to meet any of your plaque awards and budget needs. 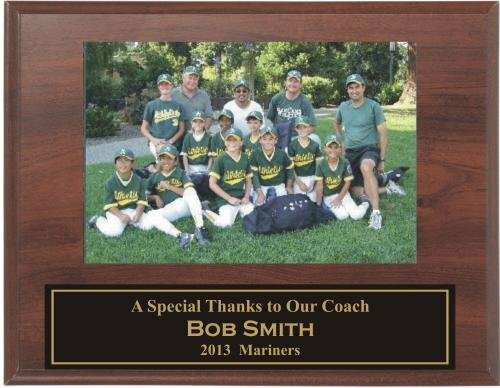 A colorful resin plaque mount that shows the classic sport resin at the center of this beautiful plaque. 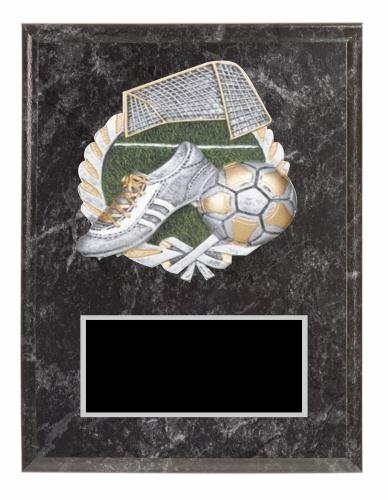 The plaque is done in a stunning Black Marble or Cherrywood finish that will giving you plenty of area for whatever your personalization needs are. 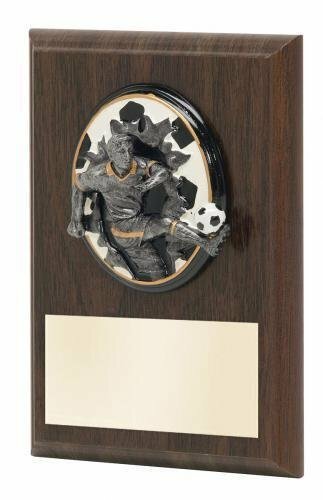 You can also choose from a variety of other sport or activity resin plaque mounts as well as different plaque finishes to meet any of your plaque awards and budget needs.